Is the Chipotle Mexican Grill comeback for real? Chipotle Mexican Grill(NYSE: CMG) still hasn't reported a quarter with positive comp sales since a food-safety scandal erupted at the fast-casual Mexican chain in late 2015. Indeed, revenue fell by double digits in 2016 even as Chipotle continued opening new restaurants at a rapid pace. However, investors are starting to gain confidence in Chipotle's turnaround efforts. Since the beginning of 2017, Chipotle stock has surged by nearly 20%. Chipotle is still probably about two years away from returning to its pre-crisis level of earnings. That said, the company does appear to be getting itself back on track, which could lead to further share-price gains in the months and years ahead. The most obvious sign of Chipotle's recovery is its recent return to comparable restaurant sales growth. On the company's Q4 earnings call in February, CFO Jack Hartung stated that comp sales rose 14.7% in December and surged nearly 25% in January. To be fair, Chipotle is facing extremely easy comparisons right now. Chipotle's food-safety crisis peaked in Q1 2016, when comp sales plunged 29.7% and the company lost money. That said, double-digit comp sales increases imply that Chipotle is starting to win back a meaningful proportion of the business it lost a year ago. Restaurant analysts at Wedbush noted last month that Chipotle was tracking toward a comp sales increase of 15% or better for the full first quarter. That would meet or exceed most investors' expectations. It would also put Chipotle in good shape for the spring and summer, when it will be running its big marketing campaigns. A second positive sign is that Chipotle's reputation is starting to rebound. As my Foolish colleague Jeremy Bowman reported last month, a survey by Market Force found that Chipotle's customer loyalty score has increased this year, making it again the top Mexican food chain in terms of customer loyalty. Just this week, the company received high marks in another survey. Certify's SpendSmart report -- which tracks how business travelers spend money on expense accounts -- revealed that Chipotle was the second highest-rated restaurant chain, trailing only Chick-Fil-A. These studies suggest that Chipotle's marketing may become more effective in 2017. Last year, the company was stuck between a rock and a hard place in terms of advertising. Focusing on food safety just reminded customers of the previous problems, while Chipotle's traditional marketing messages related to "better-for-you" food rang hollow. However, if customers have finally forgiven Chipotle, the company's new marketing push around eliminating preservatives may gain traction. A third positive sign is that Chipotle is simplifying its operations to focus on getting the basics right. Over the past year, the company has made some unforced errors, such as having staffing levels that weren't properly aligned with customer traffic trends. Upon being reappointed as Chipotle's sole CEO in late 2016, Steve Ells told investors that removing complexity from store operations would be a key priority going forward. The focus on simplicity also extends to the corporate level. Last fall, Chipotle decided to seek "strategic alternatives" for its small ShopHouse Southeast Asian Kitchen chain, which hasn't lived up to expectations. In March, the company shut down all 15 locations and sold the leases to another restaurant operator. This removes one potential distraction for Chipotle's management. Most Wall Street analysts expect Chipotle to fall well short of its $10 earnings-per-share target in 2017. And even if the company hit that goal, the stock would be trading for a lofty 45 times earnings. 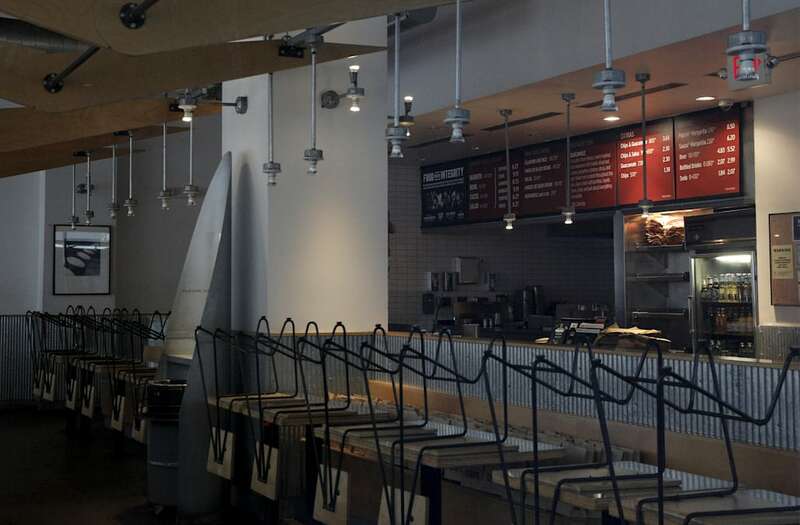 As a result, many investors are still nervous about owning Chipotle stock. However, Chipotle will probably be able to win back most of its previous customers in the next few years, if it hasn't already. Its affordable, freshly made food is likely to win new fans as well. This should allow it to gradually rebuild its store productivity -- and thus its earnings power. Before the E. coli outbreak hit in late 2015, Chipotle was on pace to finish the year with EPS of about $17. By 2019 or 2020, Chipotle's earnings should surpass this level because of rebounding margins and the steady expansion of its store base. There is plenty of room for growth beyond that level, too. Thus, the rally in Chipotle stock may just be beginning. Adam Levine-Weinberg owns shares of Chipotle Mexican Grill. The Motley Fool owns shares of and recommends Chipotle Mexican Grill. The Motley Fool has a disclosure policy.